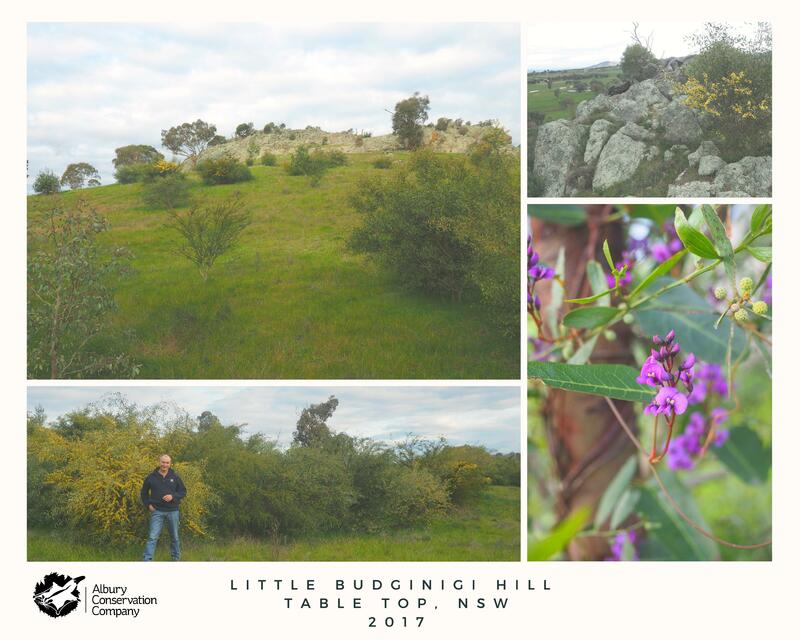 We recently re-visited Joe Esler’s property at Table Top to see how the re-greening of Little Budginigi Hill was coming along. We were pleasantly surprised with the progress after only 4 years! 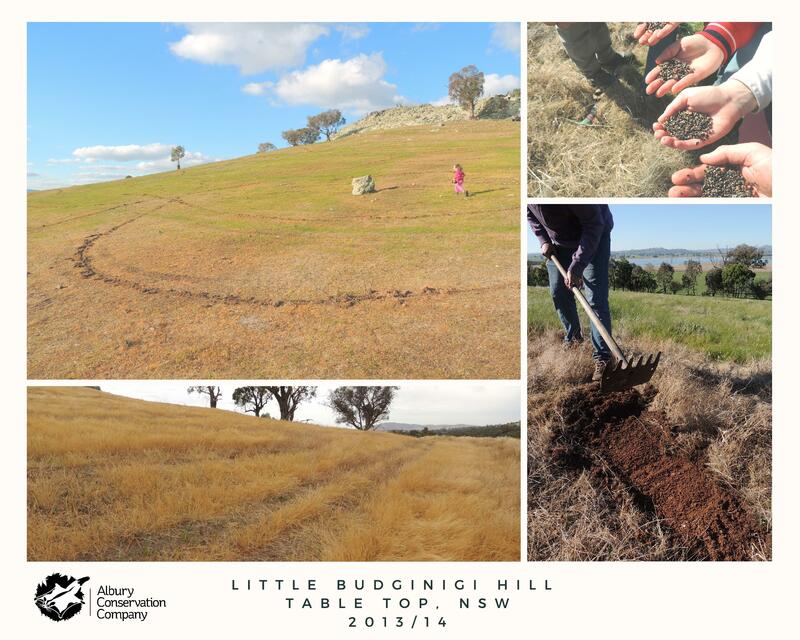 In 2012/13 the Albury Conservation Company provided funding for the revegetation of Little Budginigi Hill at Tabletop. 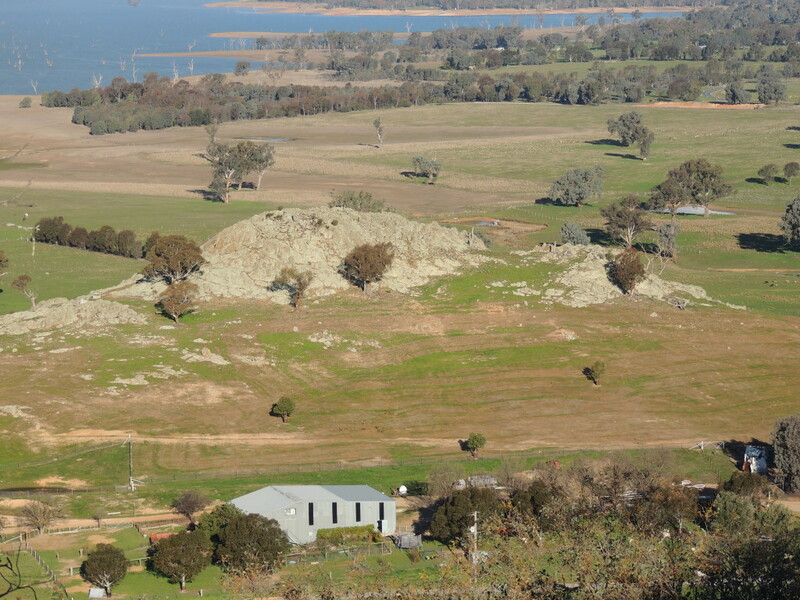 The site is a large rocky outcrop which has over time lost most of its native vegetation. 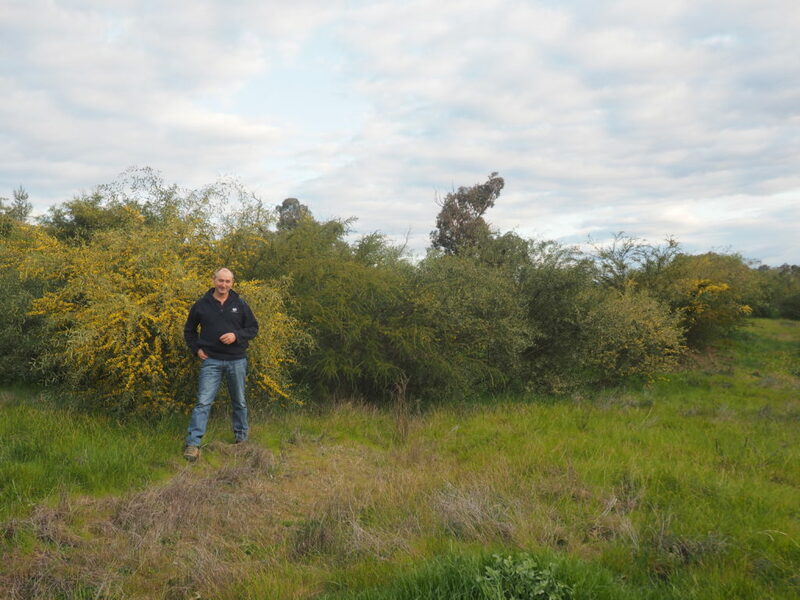 The property’s owner, Mr Joe Esler, received support from Albury Conservation Company to help cover costs of fencing the site to regulate stock, pest plant and rabbit control, and revegetation with indigenous species. 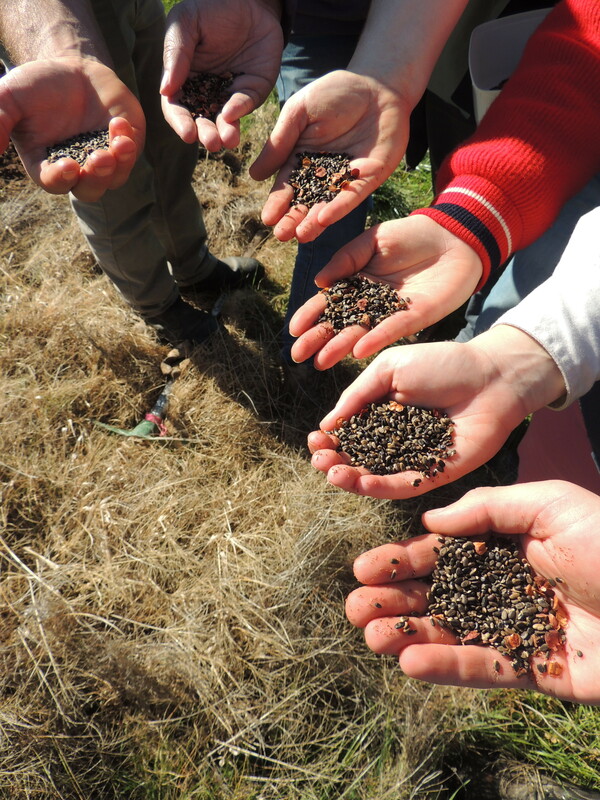 The Murray Local Land Services was engaged to provide seed and undertake machine direct seeding of the 4 hectare site, which occurred in June 2013. 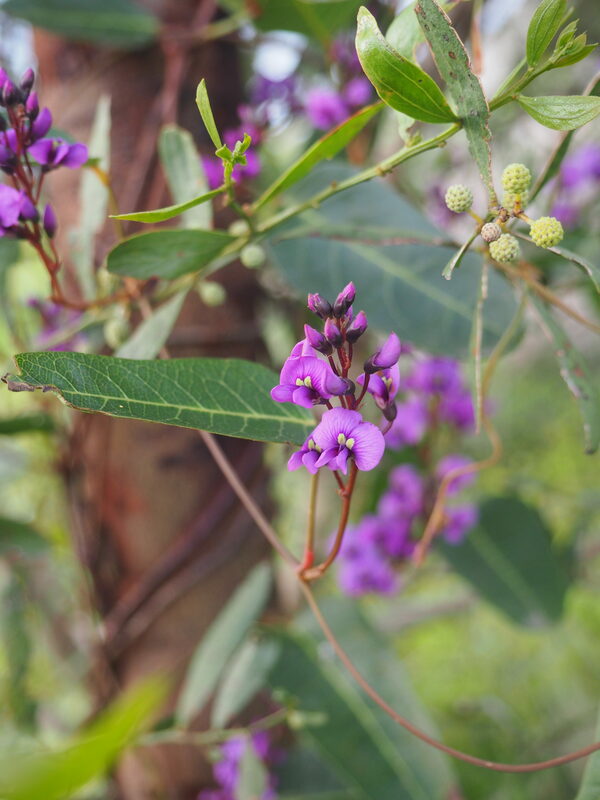 The site has also been planted with 50 seedlings of Blakely’s Red Gum, which were home grown and gifted to Joe by a neighbour. 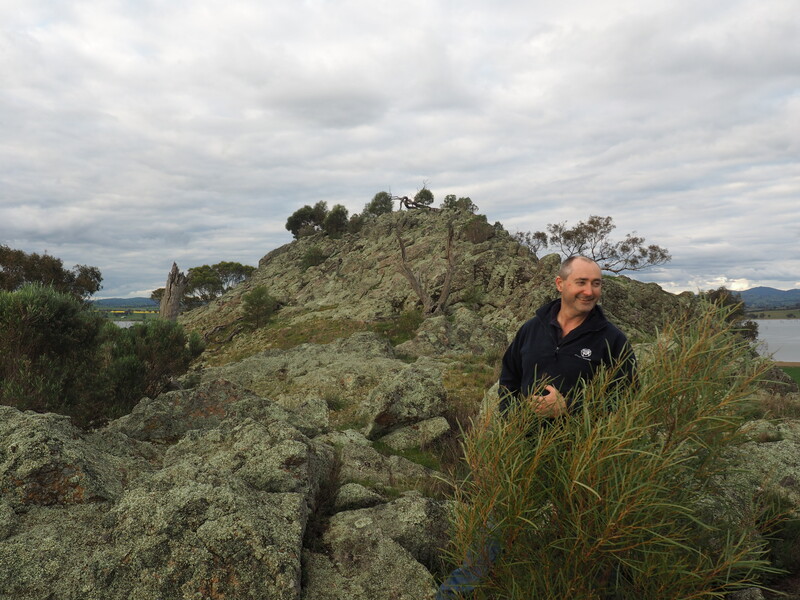 12 months after seeding, the project had mixed success. The direct seeding had a good strike in patches, particularly in areas of depressions where water, seed and soil naturally collected. The exclusion of stock and control of rabbits (e.g. 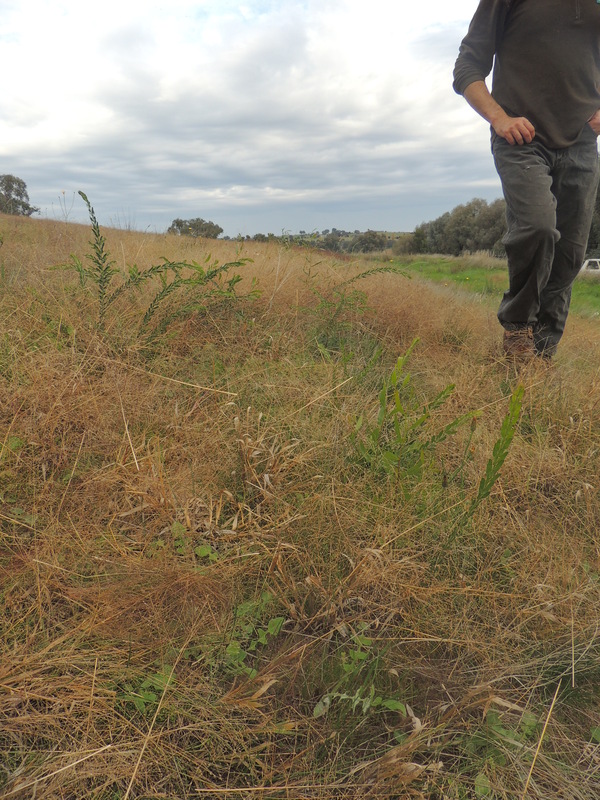 burrow destruction) at the site have resulted in good regeneration of pre-existing indigenous plants, including Red leg Grass, Wallaby Grasses, and Spear Grass. In August 2014, the project was further supplemented hand-seeding of indigenous species in areas where the machine seeding was least successful. 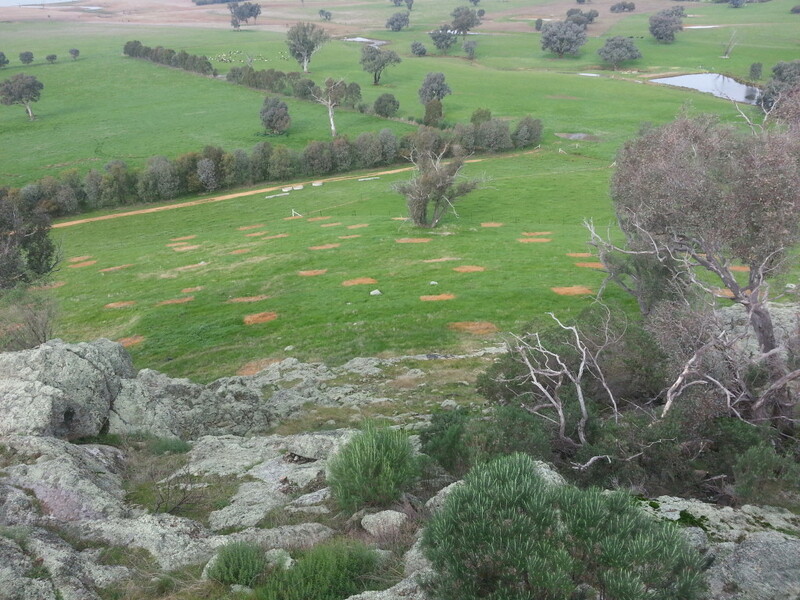 The landholder spot-sprayed areas which were least successful to reduce weed competition in readiness for hand seeding. 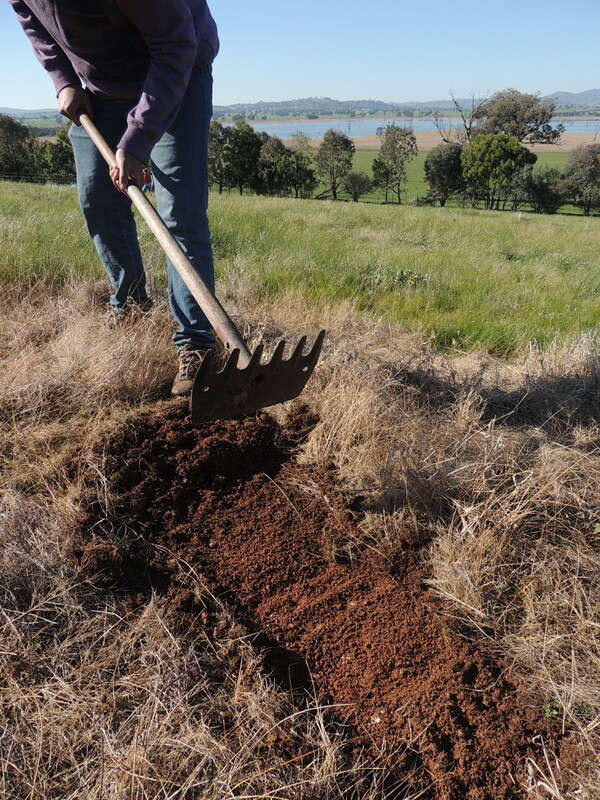 Lecturer Sue Brunskill and eight students from the National Environment Centre (NSW Riverina Institute of TAFE) completed the hand seeding in around three hours, using rakehoes, mattocks, spades or whatever they could muster to scalp and tickle the soil. 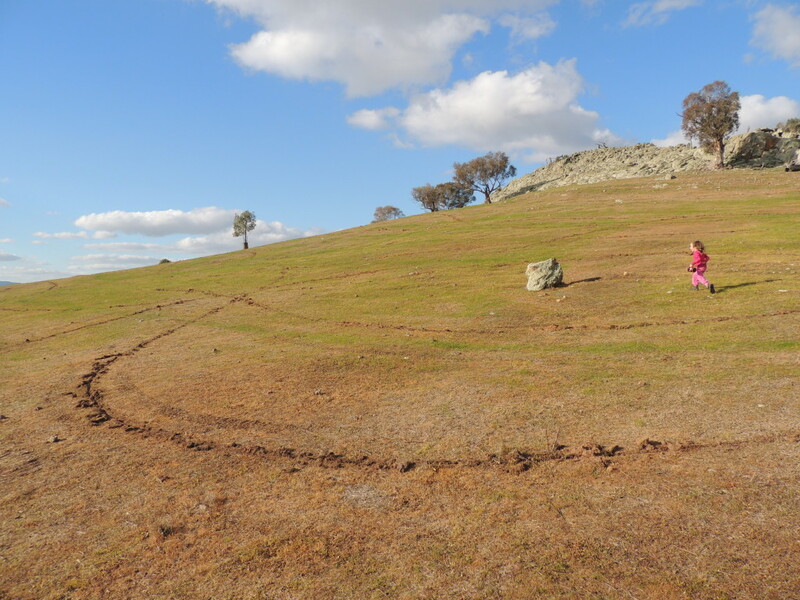 This project is further proof that restoration of degraded sites often isn’t a quick process, but one which requires effort over a longer period and a capacity to review what has worked and what hasn’t and to adapt management to site responses. 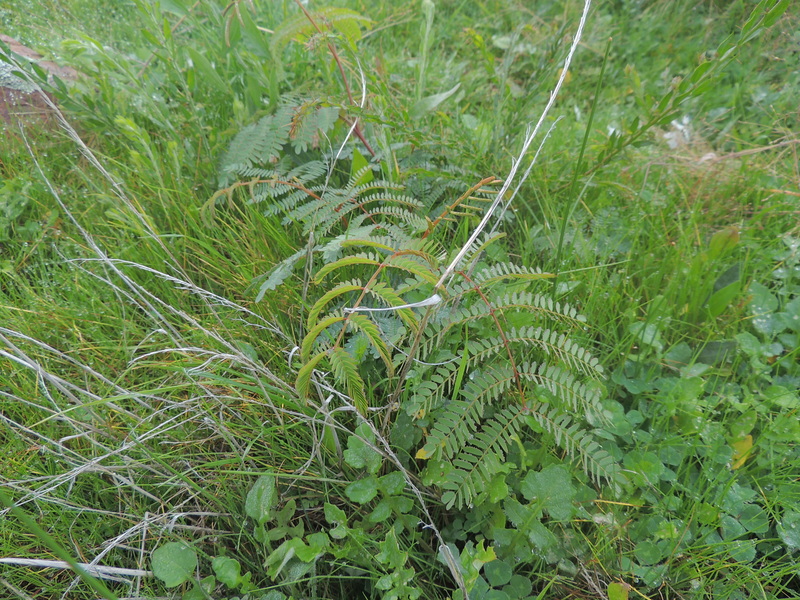 In November 2015, the site was well on the way in it’s re-greening process. 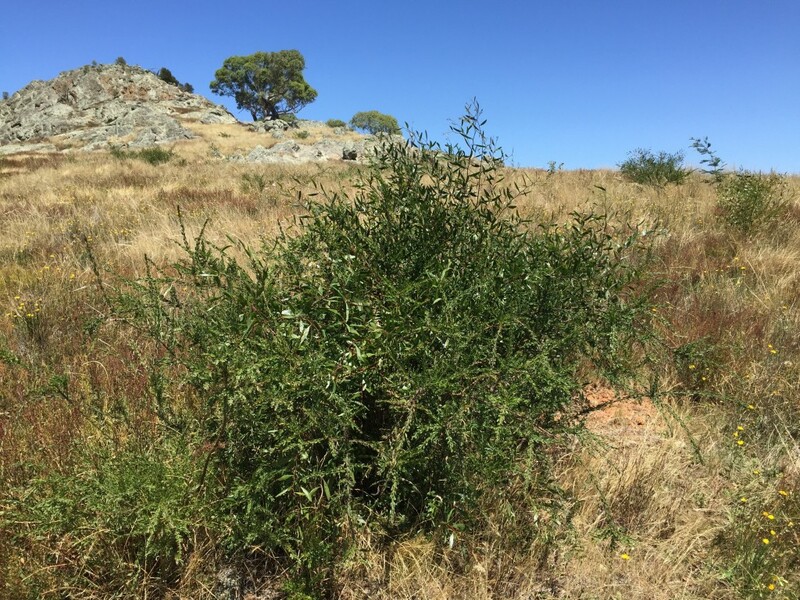 The machine direct seeding, undertaken in June 2013, was patchy and over-all unsuccessful however where it did work the plants are up to head height and importantly are now seeding themselves, especially the Hedge Wattle. 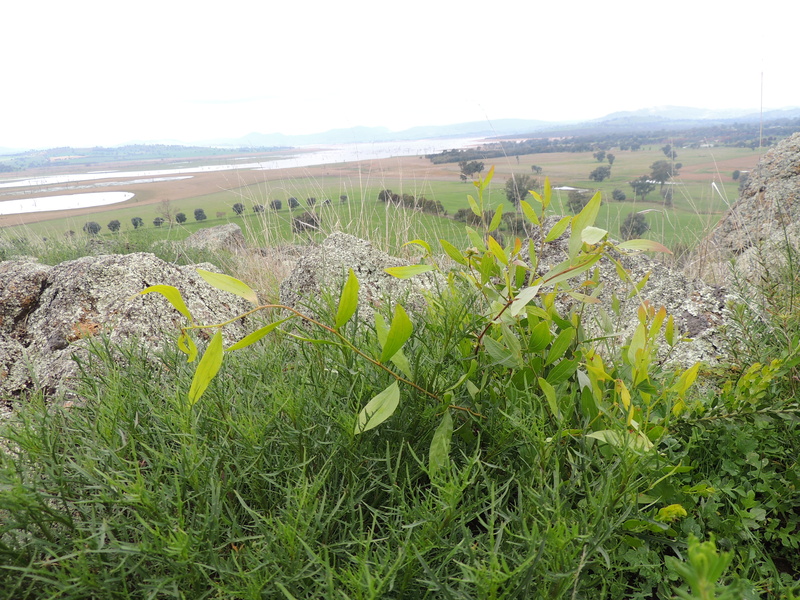 The remnant native vegetation is also recovering well without grazing by the sheep and rabbits. 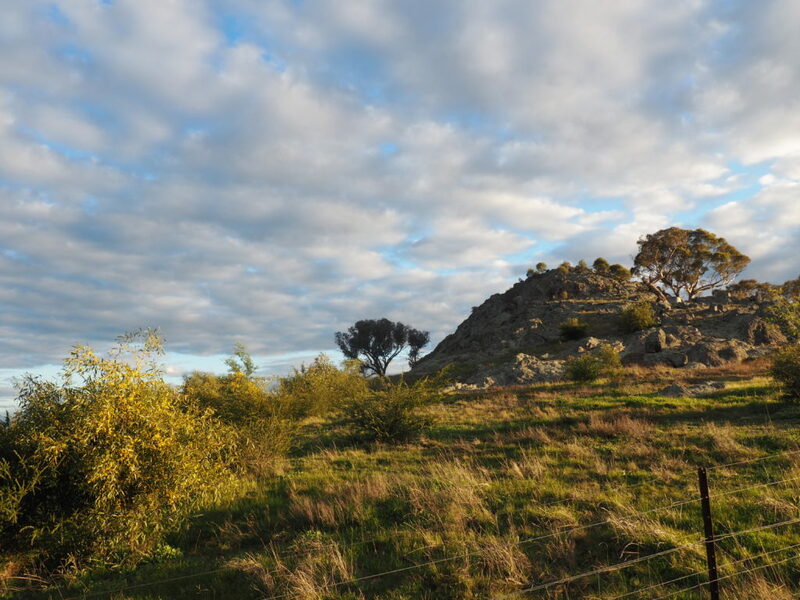 This is especially true of the more rocky areas including the very top of the hill. 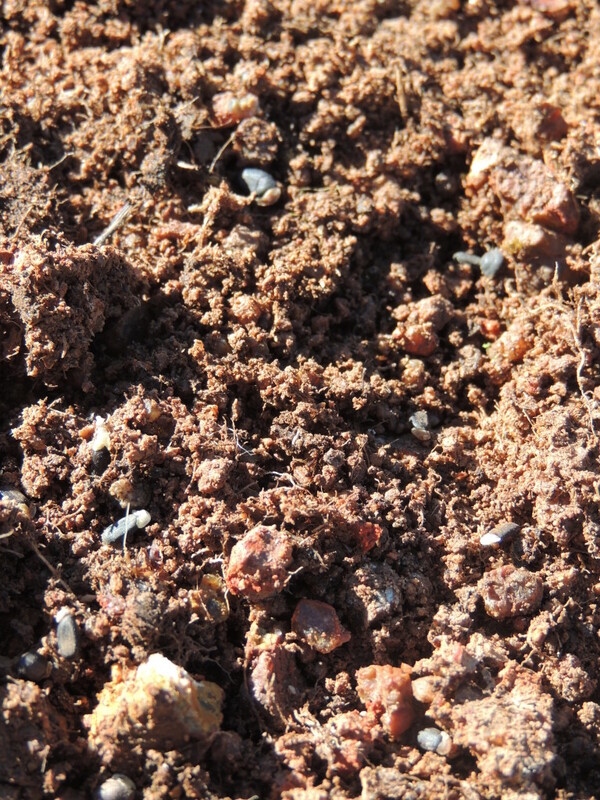 Rock Isotome, Dianellas, Wattles and other native species are slowly but surely emerging through cracks and crevices. 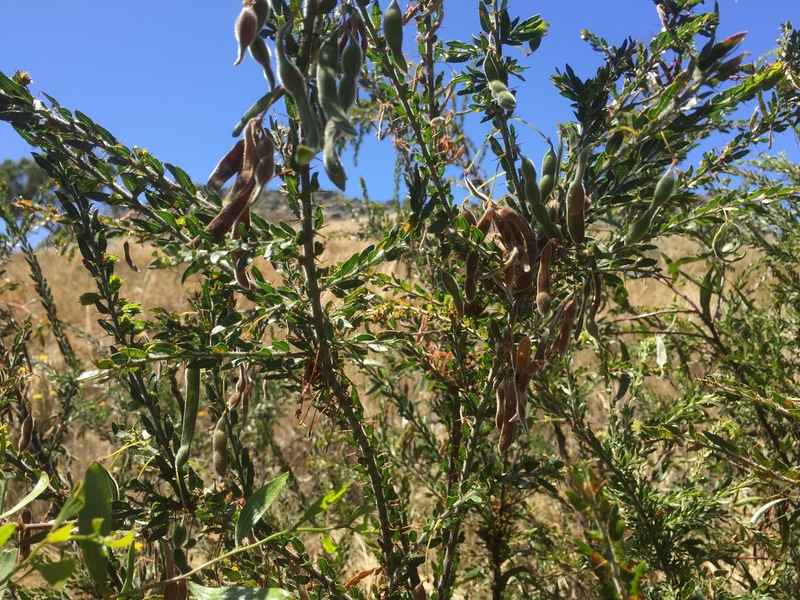 Joe expressed plans to collect seed from the site during this summer with a view of hand seeding gaps in August 2016, following the method employed with good success in 2014. 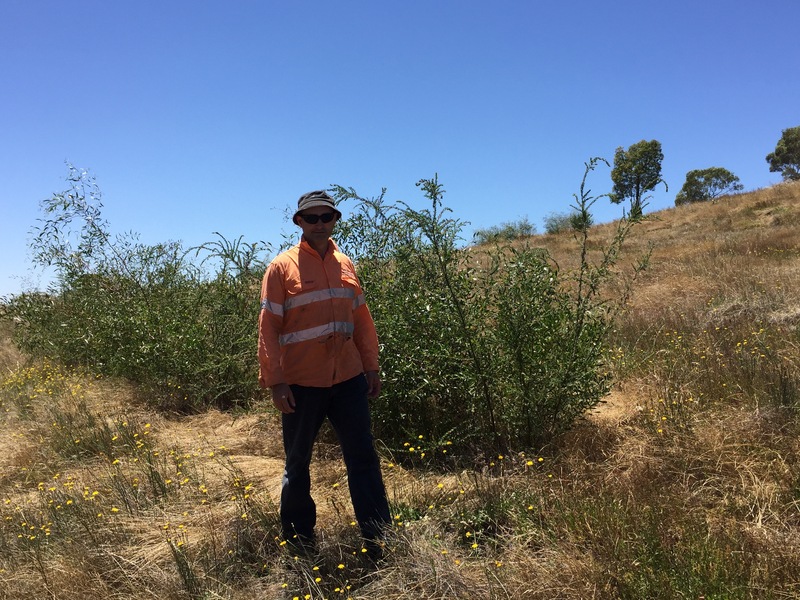 Joe standing next to machine direct seeding undertaken in June 2013 (2 years old). 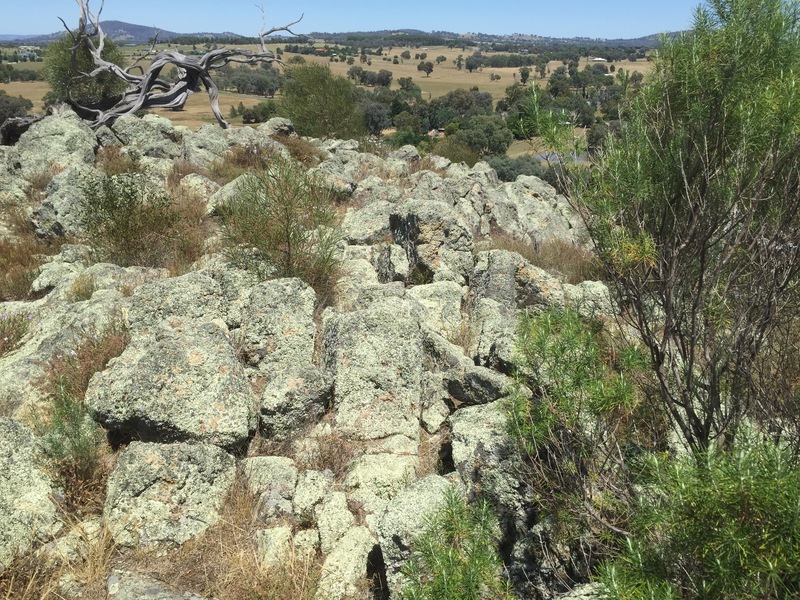 Natural regeneration and growth of remnant native vegetation on rocky outcrop, due to exclusion of sheep two years earlier. 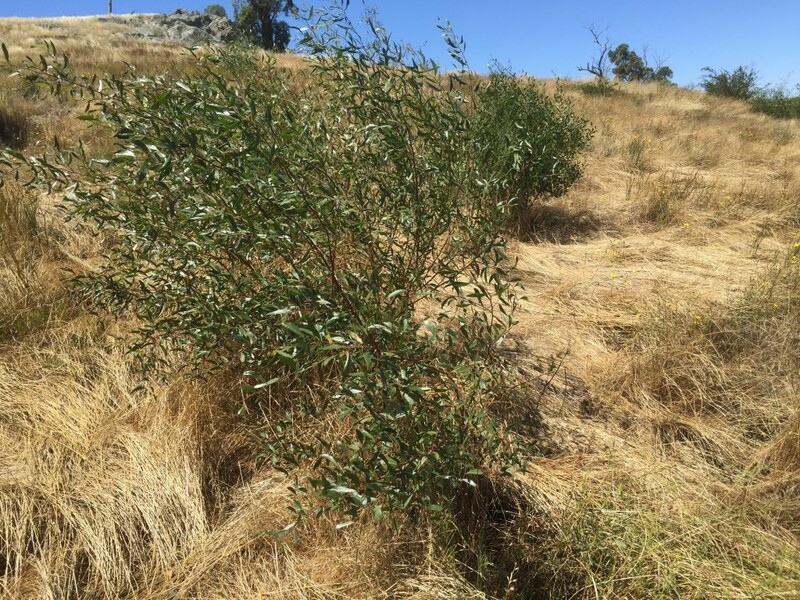 Hedge wattle seeding – these were machine seeded in June 2013. 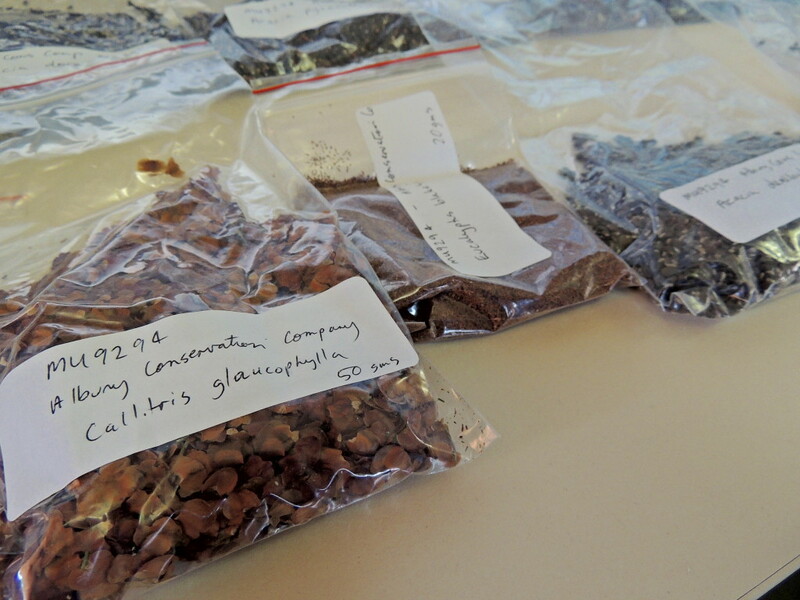 Seed produced by these plants will be viable on the site for up to 100 years helping to ensure their long term persistence. 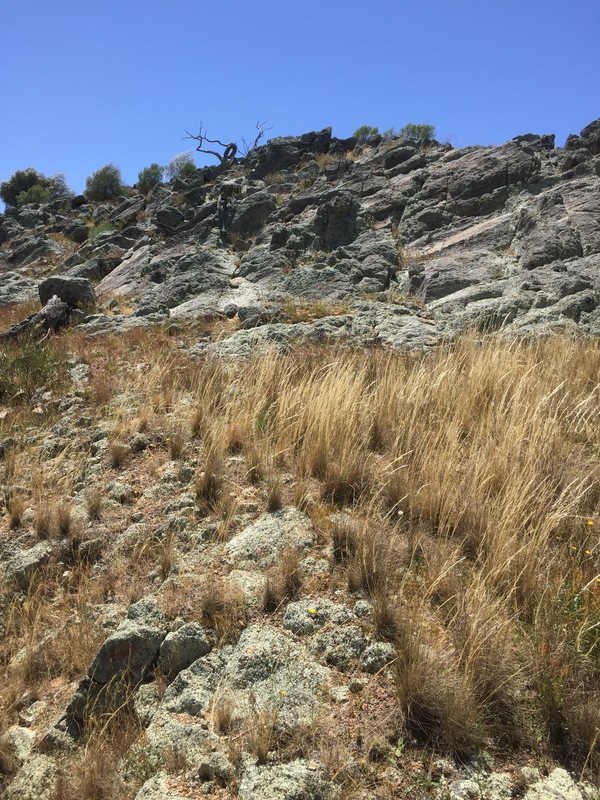 The top of Little Budginigi Hill is gradually recovering with Rock Isotome, Dianellas, Wattles slowly but surely emerging through cracks and crevices.